This textbook is suitable for a course in advanced calculus that promotes active learning through problem solving. It can be used as a base for a Moore method or inquiry based class, or as a guide in a traditional classroom setting where lectures are organized around the presentation of problems and solutions. This book is appropriate for any student who has taken (or is concurrently taking) an introductory course in calculus. The book includes sixteen appendices that review some indispensable prerequisites on techniques of proof writing with special attention to the notation used the course. A solutions manual is freely available electronically. Undergraduate students interested in introduction to proofs. 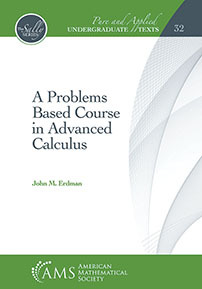 Learning from this book might be a challenging and time-consuming task, but the reader will be rewarded by a deep understanding of advanced calculus.